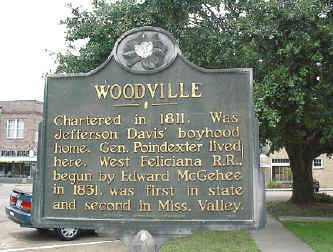 Woodville is located in Wilkinson County Mississippi, in Southwest corner of Mississippi about 125 miles southwest of Jackson. Located in the County are three Towns; Woodville, Centreville and Crosby. Other communities in the County are Fort Adams, Lessley, Pond, Pinkneyville, and Doloroso. Wilkinson County was formed in 1802 and Woodville was chartered in 1811. Wilkinson County covers an area of 439,318 acres and is bordered on the west by the Mississippi River. Woodville is the County seat. Population for Wilkinson County Mississippi for 2000 was 10,312. 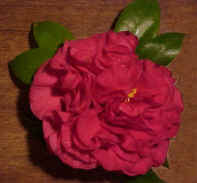 Click here for 2000 Census Wilkinson County Ms. The 1988 value of agriculture in the county amounted to $24,359,000.00. In descending order, the value of the county's agricultural commodities were: forestry, cattle and calves, soybeans, vegetables, corn, wheat, hogs and grain sorghum. Land use among the 439,318 acres in the county is listed from largest to the smallest: forest, pasture, water and wetlands, cropland, transportation and urban areas. Woodville has three of the oldest churches in the state, Woodville Methodist Church, St. Paul's Episcopal Church, and Woodville Baptist Church. Wilkinson County has a rich, and colorful history. Some interesting historical sites to visit are Jefferson Davis' boyhood home on Highway 24 east. The Pond Store and Clark Creek Natural Area near Fort Adams, Historical Old Fort Adams itself, the oldest railroad building in the state. 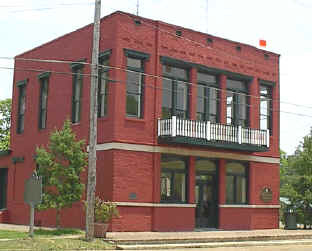 Which is the home of Wilkinson County Museum and operated by the Woodville Civic Club, the oldest newspaper, The Woodville Republican , and many historical old homes located over the county. Another major interest in the county is Hunting and Fishing, There are numerous lands leased for hunting of Deer, Rabbit, Squirrels, and Duck. Locally Hunting and Fishing Licenses can be obtained at Ace Jr. at the corner of US Hwy 61 and Hwy 24. 601-888-4383 and at the Sportsman's Stop at the intersection of Hwy 24 and Lake Mary Road (phone) 601-888-7333. Now, hunters and fishermen can purchase Mississippi licenses around the clock, every day of the week by call 1-800-5GO-HUNT ( 1-800-546-4868 ), according to the Department of Wildlife, Fisheries and Parks. Anyone who needs a license and calls 1-800-5GO-HUNT will be asked to provide identification, along with a Visa/Master card, or a bank debit card. The caller is given a temporary authorization number, once their eligibility is verified. This serves as a valid license until the actual license ordered is received. For more information call the Department of Wildlife, Fisheries and Parks at 601-432-2400 or 1-800-5GO-HUNT. The Innkeepers have recently completed the restoration of their grandmother's 1915 rambling bungalow. The home is now affectionately named Nana's Guest House. Media: Weekly News Paper , The Woodville Republican. Woodville, South Derbyshire, England Woodville, South Derbyshire, England, is a small village of almost 3000 people situated in south Derbyshire, in the middle of England.